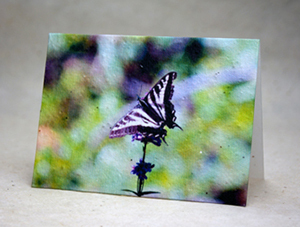 "Thank you" is printed on 100% recycled machine made paper. 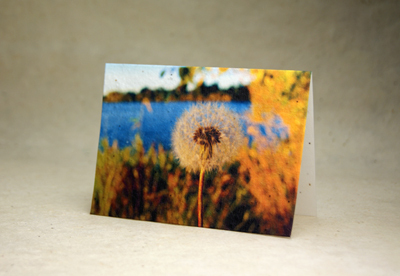 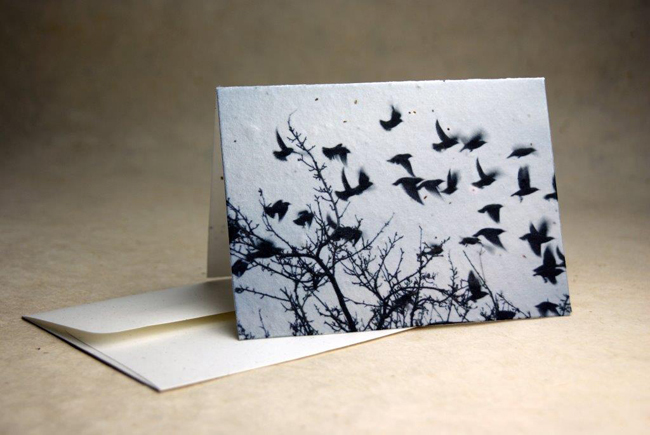 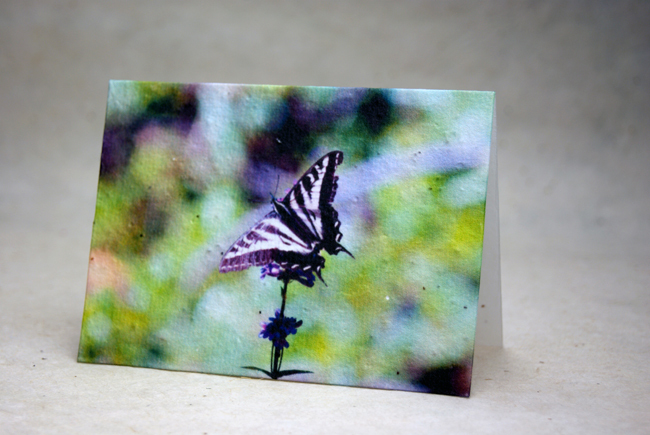 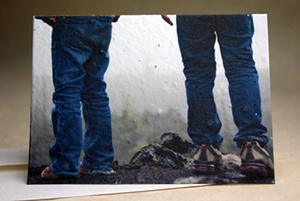 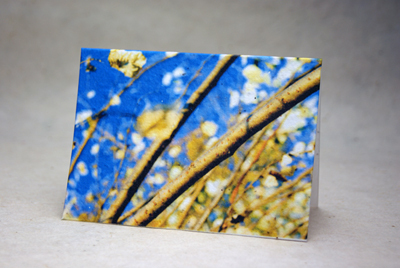 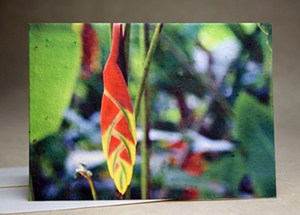 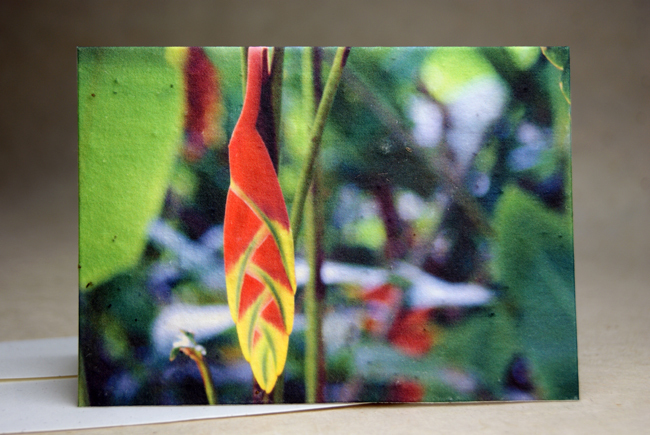 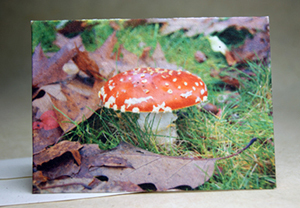 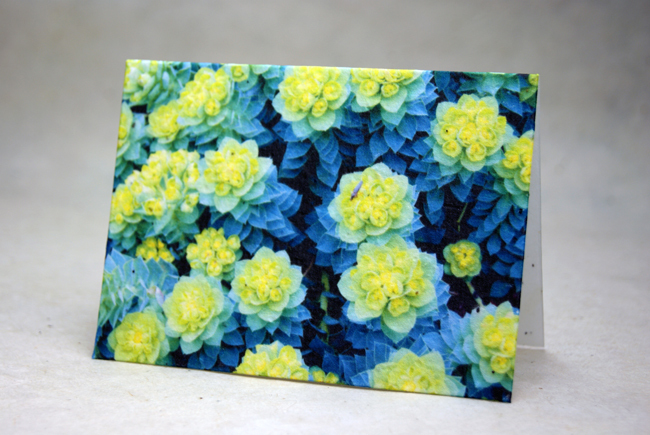 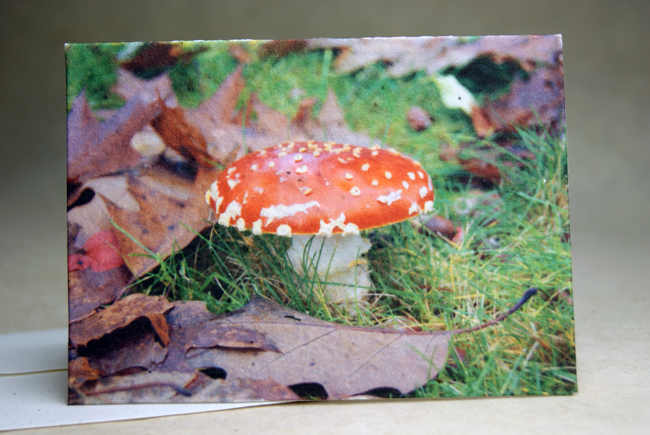 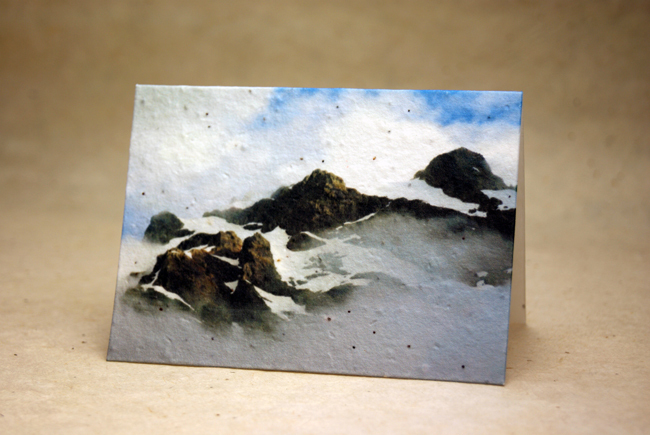 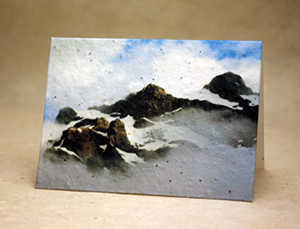 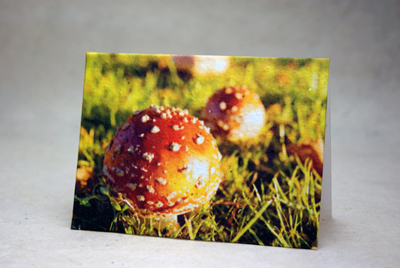 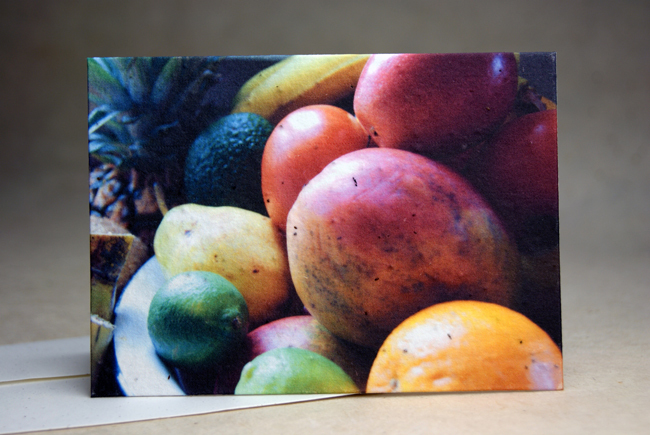 We offer a white recycled cardstock with flecks, and a cream textured "felt" paper. 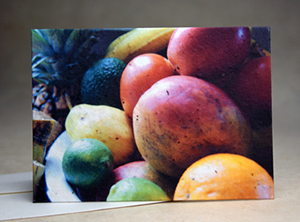 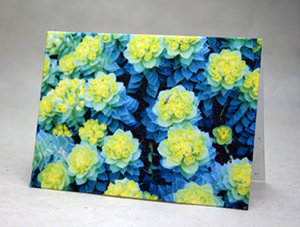 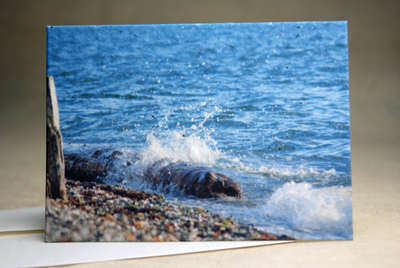 These cards are an economical way to thank your guests for their attendance! 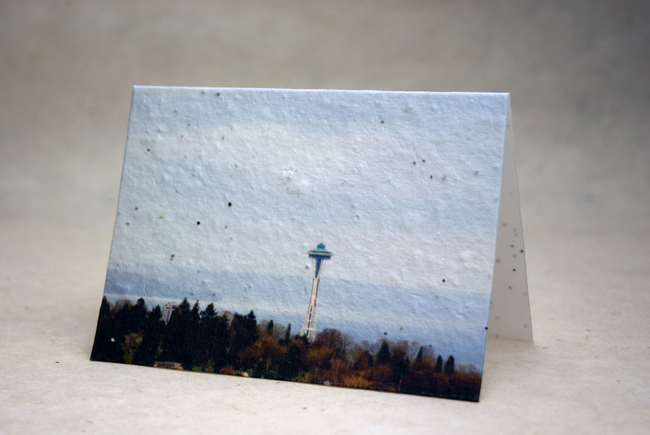 We offer custom text additions on the following cards: Mountain Lake, Pink Watercolor, Pink Dahlia, Grey Dahlia, Bachelor Button Petal, Space Needle, Trees, Tree Trunks, Grey Rose, Poppy & Grey Rose, Poppy, and Truck. 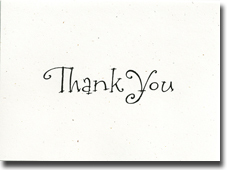 If you would like to add a phrase to the front of your card, add your custom text below.